Please Email me if you know of some other towns that have been transcribed. This website is dedicated to all the hardworking genealogists that are bringing obscure microfilms written in archaic italian handwriting into the realm of easy viewing for all. Stop back from time to time, as new towns are being added frequently. Welcome! 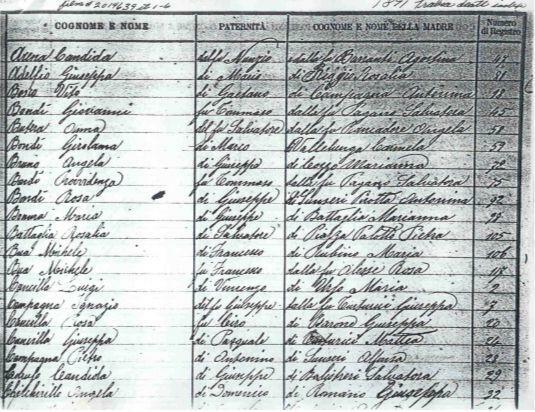 Below you will find the work of a rare group of people that transcribe Italian vital records. The originals are stored in Italy in individual “comune” which are the town or community commons. This list is specifically composed of websites or email addresses that represent the transcription of hundreds or thousands of records; birth records, marriage records, death and baptisms all over Italy. Most of the researchers concentrate on only one town, but there are some here that have done more. Most people transcribe this information from LDS microfilms in dark little rooms, but a few have had access to the actual records in their chosen towns. One woman just photographed the records and put scans on line, which is great, because it will help everyone appreciate just what the researchers have had to work from.